Having spent two days helping with recovery and rescue efforts in Seaside Heights, Lakehurst Volunteer Fire Company Chief Ed Seaman needed few words to describe Hurricane Sandy's destruction. About 10 members of the borough's fire department rose to the call when the barrier island community needed assistance. They left at 10:30 a.m. Monday, Oct. 29 and didn't return to Lakehurst until 10:30 p.m. the following day. 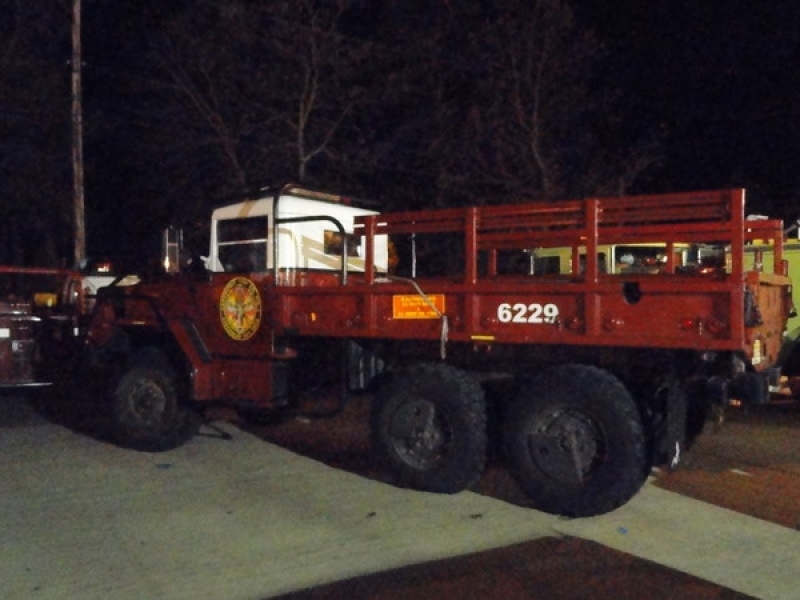 Lakehurst was able to provide a unique asset to recovery efforts — the fire company has what Seaman called an "off-road high water fire unit." Locally, only Lakehurst, Cassville and the state police have such a vehicle. "They called our truck out for a resource," said First Capt. Brian Dugan. Sandy mostly caused downed trees and electrical wires in Lakehurst — the borough's storm issues mostly were under control shortly after the storm struck, so a portion of the the fire department's staff was free to assist elsewhere, Dugan said. "Lakehurst residents are very fortunate compared to other towns," Seaman said. The truck was used to transport emergency personnel and equipment through the high waters that made getting into Seaside a problem for first responders. Seaman said that heading over to the barrier island, about 3 feet of water covered Route 37 near Fischer Boulevard. Worse yet, a section of road with 4 to 5 feet of water greeted those who crossed the bridge into Seaside. But Lakehurst's truck made it through. While there, Seaman said that his crews helped to make rescues, including one of a 3-week-old and the child's mother. A disabled resident was also helped by crews. In another instance, responders backed their truck up to the second story of a flooded home so the occupants could jump out and into their vehicle, Seaman said. With the National Guard in Seaside, Lakehurst's crew and their truck were able to return home. The department also has provided assistance in Brick, Toms River, Lavallette and Mystic Island. Manchester crews also aided in recovery efforts elsewhere. For example, the Whiting Volunteer Fire Company traveled to Long Beach Island, where Sandy heavily impacted the area.